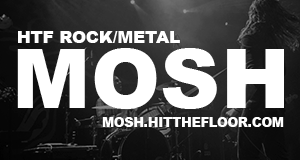 Hard rock band From Ashes to New have won over fans with their recent live appearances, having toured with the likes of Hollywood Undead, Five Finger Death Punch and Papa Roach to crowds of unthinkable proportions. After showcasing what they can do on stage, this American six-piece are now unleashing their talents in the studio with debut album, Day One. With the opening chants of ‘Land of Make Believe’, this album has a harsh rock ’n’ roll feel that is most definitely not for the faint-hearted. While we hear hints of the melodic nature in tracks such as ‘Farther From Home’ and ‘Every Second’, our first thoughts are confirmed with such heavier face-melters as ‘Face the Day’: this album is not intended for the weak. From Ashes to New have pooled influences from various genres together within their debut album, namely rock, metal, rap and electronic to make something you might recognise as reminiscent of ‘00s nu-metal. Having toured with Papa Roach, it’s hardly surprising that tracks such as ‘Lost and Alone’ have the same punchy hard rock of their earlier songs; however, their biggest sound-a-like is probably nu-metal hybrid band Linkin Park, especially in the piano melodies and electronic effects of ‘Shadows’ and the rap-rock of ‘Breaking Now’. While some bands dip their toes in this field only to end up sounding rather cringe-worthy, tracks such as ‘Downfall’ show how From Ashes to New have managed to pull it off with a modern style. Even though they are playing around with quite a dated format, From Ashes to New make a real effort to create something new out of what was left over from over a decade-old genre. Who knows, this band could be the revival of nu-metal. Listen To All The New Bands Announced For Download 2016!